My Cousin Tone', in existence for 8 years, is noted for its' well-rehearsed and unique arrangements by Rising Star arranger and saxophonist, Timothy Martin, and features previous JazzBuffalo Poll winner for Best Female Jazz Vocalist, Mary Mcmahon. 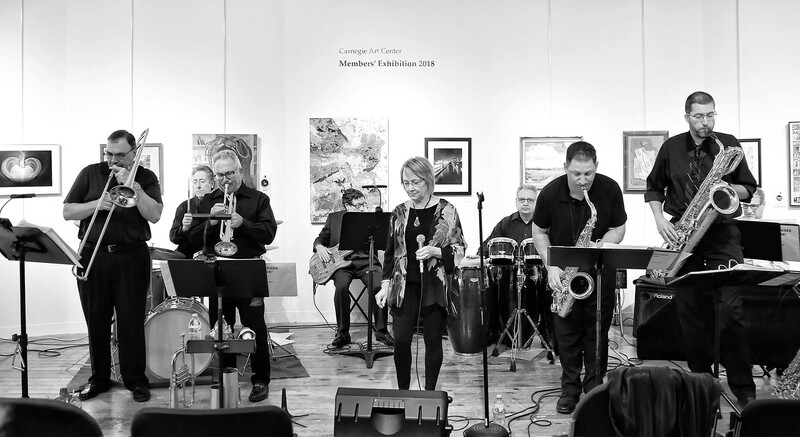 The band has performed at festivals, including the Northwest Jazz Festivals, sold-out audiences at MusicalFare Theatre, to a full capacity audience of nearly 200 at the Hotel Henry, and held a summer-long series on the rooftop of Tappo Restaurant in downtown Buffalo. The band also features Jim Matteliano on piano, Pete Dauphin on trombone, Andrew Peruzzini on trumpet, Thomas Marinaro on saxophone, Bill Savino on bass, Bill Basil on drums, and Tony Zambito on percussion. Join in for an exciting time of listening to jazz standards, jazz classics, and songs from the Great American Songbook?.